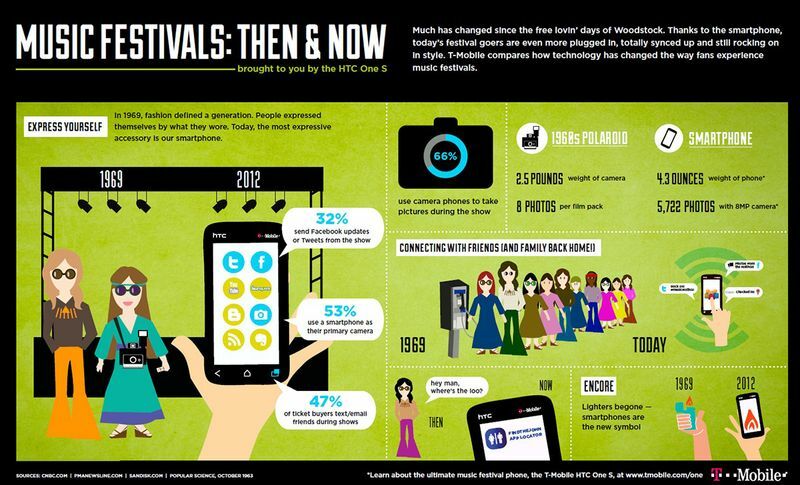 This is a very interesting infographic via the Hypebot about the historic evolution of the smartphone and its impact on the music experience since Woodstock. There’s some good data points in here. But what this infographic really reminds of is our chat with Alex from StagePage about mobile apps and how we need to foster more context and meaning around all the media that concert fans create during shows. I’d like to see an infographic that illustrates that conversation. What do you think? Let us know in the comments below and we’ll share your story on a future episode of Live Fix Radio.